Thank you for making Siren. Siren is the only one tool can rename multiple EPUB files by metadata. I have some Japanese and Chinese EPUB files cannot be found metadata information because it has different file structure. Siren can load "OEBPS/content.opf" but cannot load "item/standard.opf" for metadata information. 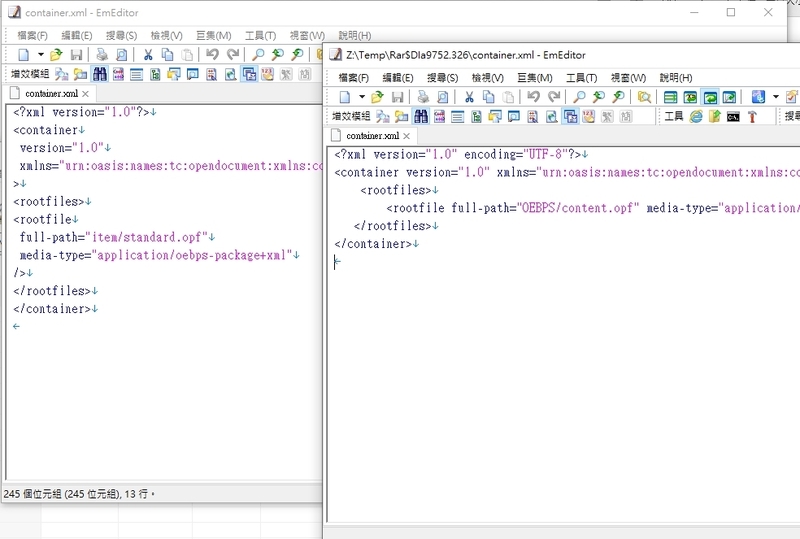 According to container.xml, there two different file structure. Because the publishers follow The Electronic Book Publishers Association of Japan and Digital Comic Association in japan. Can you let Siren load "item/standard.opf" for EPUB feature? Can you please send me some of these files or deposit them somewhere ? You can use the email address given in Siren's "?/About ..." menu option. Thanks for your interest in this little program.